If a clown doesn’t fit your event’s theme, I can adapt! 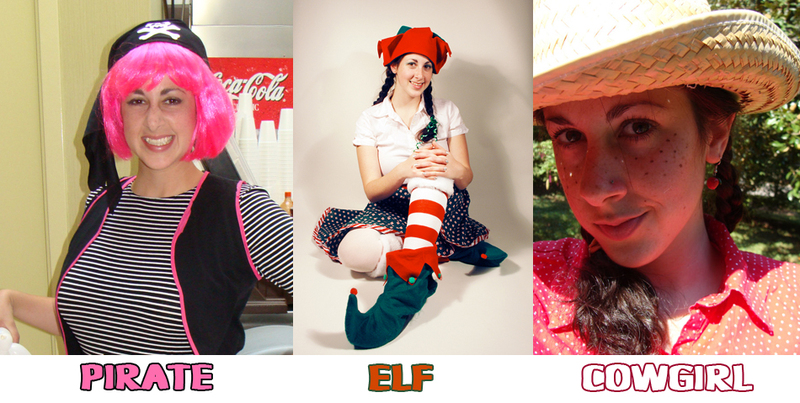 I can come as a pirate, fairy, princess, cowgirl, or even Holly the Elf for your holiday parties. If you have a specific costume in mind, let me know and I’ll do my best to accommodate!